• Prime Minister Prayut Chan-o-cha has instructed all ministries to follow up on solutions to the informal loan sector and warned civil servants not to become involved with loan sharing operations or face action. Promising to soon introduce a law on the informal loan sector, the Prime Minister instructed security units to arrest lenders who have loaned money at interest rates higher than permitted by law. • The Thailand Cabinet has agree in principle to draft a law to protect migrant worker. The new law will see the establishment of a committee for the management and supervision on migrant workers which will hold employers liable for their workers, establish of a management fund, and increase benefits and protection of migrant workers. • The Thailand Cabinet has approved draft amendments to the Thailand Vessels Act BE 2481 and the Navigation in Thai Waters Act BE 2456 to strengthen enforcement efforts in the maritime industry, particularly related to illegal, unreported and unregulated (IUU) fishing. • The deputy speaker of the National Reform Steering Assembly (NRSA), Alongkorn Ponlaboot, said yesterday that 142 reports and suggestion on national reform have been submitted to the government for consideration and was currently working on four additional reports. 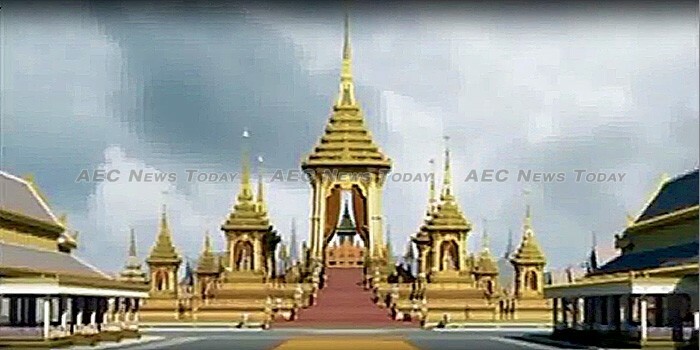 Public reform meetins are expected to be held in all 76 provinces over the enxt two weeks. • Permanent Secretary of Finance, Somchai Sujjapongse, has witnessed the signing ceremony to launch the ‘Saving Promotion Campaign’ between the National Savings Fund (NSF) and the Credit Union League of Thailand, (Cult) aimed at encouraging increased levels of savings for retirement by credit union members. • Improvements in infrastructure and service are being credited with Chiang Mai International Airport being recently ranked third out of 82 in the ‘Airport Service Quality Awards 2016’ by the Airports Council International (ACI) for airports with capacity of between five and 15 million people. • The Faculty of Engineering of Chulalongkorn University has conducted an academic forum on the pros and cons of coal-fired power plants. Associate Professor Kulyos Audomvongseree, director of the Energy Research Institute (ERI) of the university said that the purpose of the seminar was to exchange ideas and suggestions by related stakeholders, as well as to discuss Thailand’s energy security requirements. • Minister of Defence, General Udomdej Sitabutr, has presided over the opening ceremony of the Khlong Phadung market fair. Organised by the Southern Border Provinces Administrative Centre (SBPAC) and set to run through until March 24, the fair features products produced by people from the Southern provinces who have been affected by the continuing unrest in the region. • The head of the Similan Islands National Park in Phang-nga province, Ruamsilp Manajongprasert, has reported that February saw revenue from visitor entrance fees top Bt60 million (about US$1.7 million), beating its previous highest record achieved in January. It has so far raked in Since the beginning of its current tourism season in October 2016 making it has collected more than Bt201 million ($5.717 million), its highest figure in 35 years. • The Deputy Director-General of the Department of Asean Affairs, Suriya Jindawong, said yesterday that representatives of Asean Regional Forum (ARF) have discussed the establishment of the Asean transnational threat information sharing centre (ATTIC) and will conduct further studies to prevent overlap of duties, the scope of the centre, and what information will be shared prior to its opening. • Thailand Minister of Industry Uttama Savanayana said that planning is underway to transform the country into the aviation hub of South Asia.